Thousands of women traveled from all over the world to spend election night at Hillary Clinton's alma mater, Wellesley College. 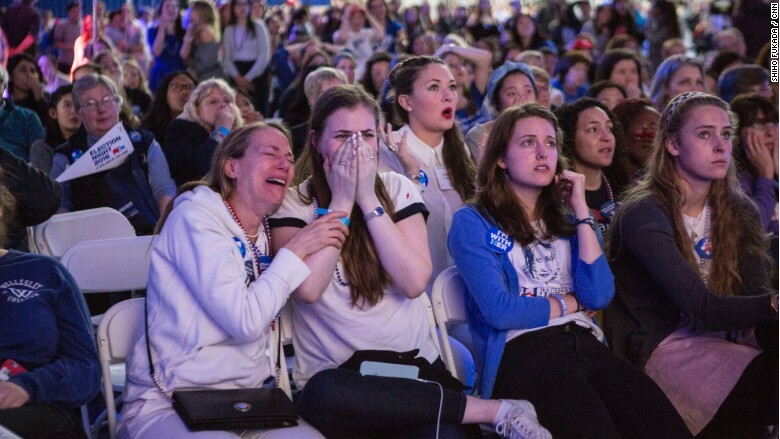 They thought they were coming to celebrate America's first female president and the breaking of the ultimate glass ceiling. Wellesley -- which only admits women -- even handed out wooden mallets that said "Wellesley women shattering glass ceilings." Many women also began the evening waving "history in the making" flags. But the night ended in tears of disbelief. "What?" 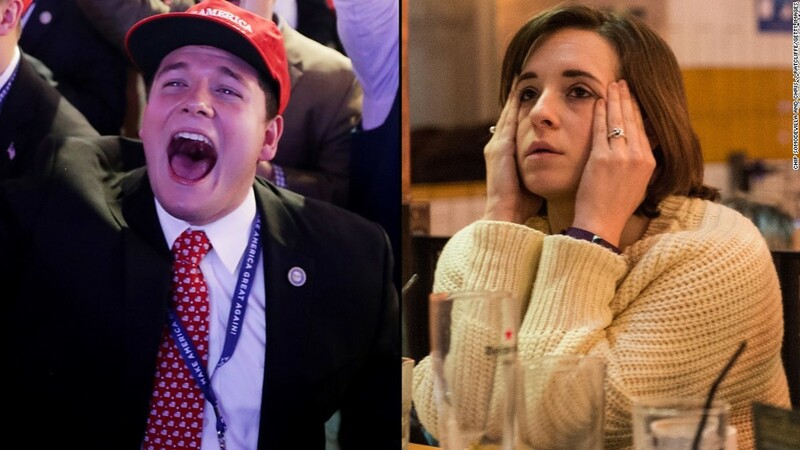 students and alumnae shouted at the television screen as Donald Trump took the lead in several key swing states around midnight. 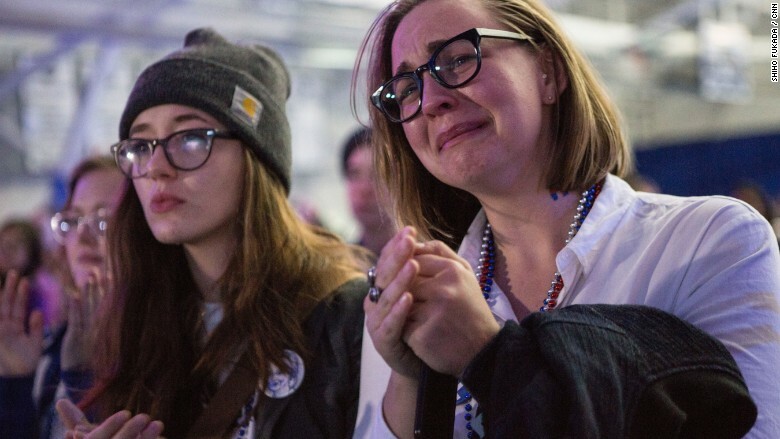 Wellesley College students and alums react as election results are reported. Among the crowd, many women were wearing Clinton's trademark white pantsuits or t-shirts with Clinton's logo or image. One woman came in a full suffragette outfit. Her four-year-old daughter was dressed as Clinton. "Love Trumps Hate" shirts were also popular. "Nothing comes easy for women. Everything that is worth doing takes work," said Madeleine Albright, former Secretary of State, via Skype to the Wellesley crowd. Albright is a 1959 Wellesley alum and was the first woman to become Secretary of State. Clinton graduated a decade later in 1969. Women from different generations hugged and comforted each other as the party ended at 1:30 am. Some students talked about looking for jobs abroad when they graduate. "I'm stunned. I can't believe this is happening," said Roshni Madhu-Sudan, a first-year student. "I had no doubt walking into this room tonight we were going to have the first female president." Beyond the shock, some were already worried. "It's crazy we might have a president who validates being racist and being exclusive. And that being hateful is ok," said first year Meha Ahluwalia. Her family is Sikh and she is concerned for their safety, especially the men in her family who wear turbans. Clinton was college government president at Wellesley. Her graduation speech made headlines when she rebutted a sitting Republican senator who had spoken just before her. We must strive to make "the art of what appears to be impossible...possible," Clinton said in 1969. But it wasn't meant to be in 2016. A Wellesley student wears buttons in support of Clinton. "The election may not turn out the way we had hoped," said Wellesley President Paula Johnson as the evening ended. But "whatever the result, we stand for justice. We stand for equity." 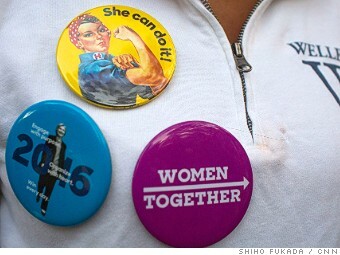 Win or lose, Clinton's historic run has likely encouraged more young women to enter politics. "Hillary has been an inspiration to me for my entire life," said Emily Moss, a sophomore who campaigned almost every weekend this fall for Clinton in New Hampshire. "Her resilience is incredibly inspiring." 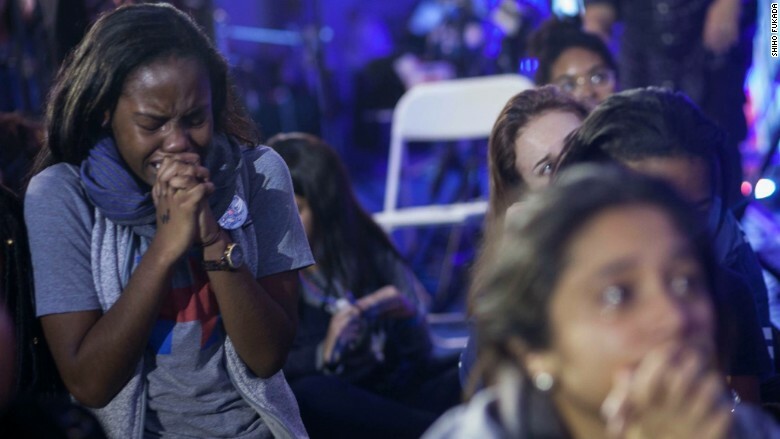 Wellesley College students and alums react as Election Night results come in showing more and more states for Donald Trump.